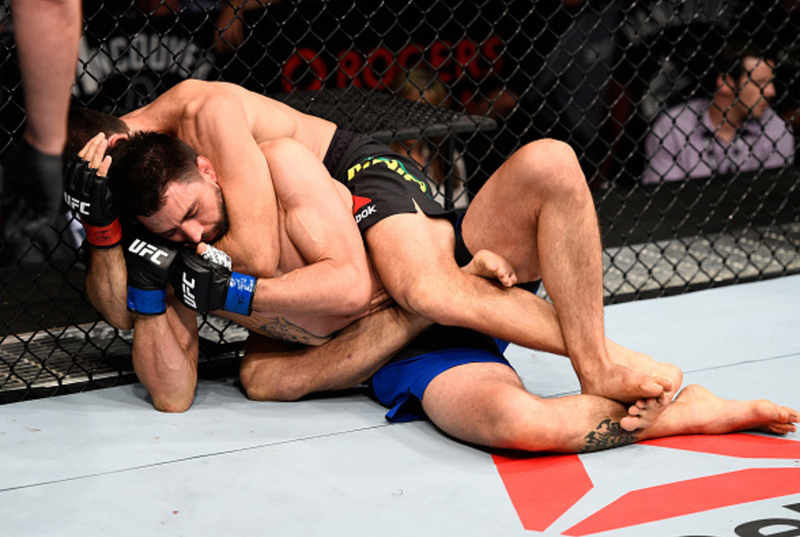 Demian Maia set his sights on a title shot after he submitted Carlos Condit with a choke in the first round of their main event in Vancouver. The Brazilian successfully negotiated around the back of his opponent following a takedown, locking it in from the sides forcing the former title challenger to tap to conclude the UFC on FOX event. Featuring elsewhere on the four-fight main card was a victorious featherweight debut for Anthony Pettis, along with a triumphant return to action for Paige VanZant. Kicking off things was a phenomenal sequel between Miller and Lauzon. Carlos Condit looked to keep things at range early on, but would soon get taken down as the jiu-jitsu black belt shot low and worked his way round to taking the back of his opponent. That was quite the challenge, but when he did, the writing was on the wall, as the American had nowhere to go up against the cage. 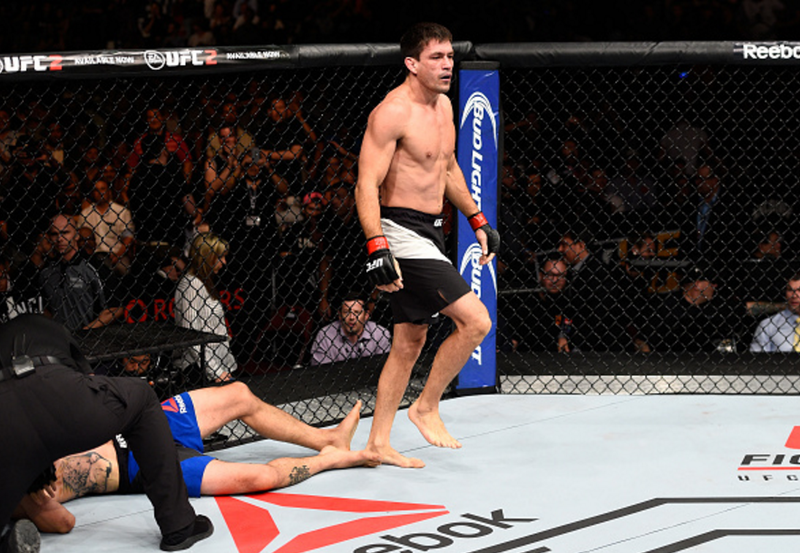 1 minute and 52 seconds in, he would tap from the choke and that was it - an incredible performance yet again from Maia. 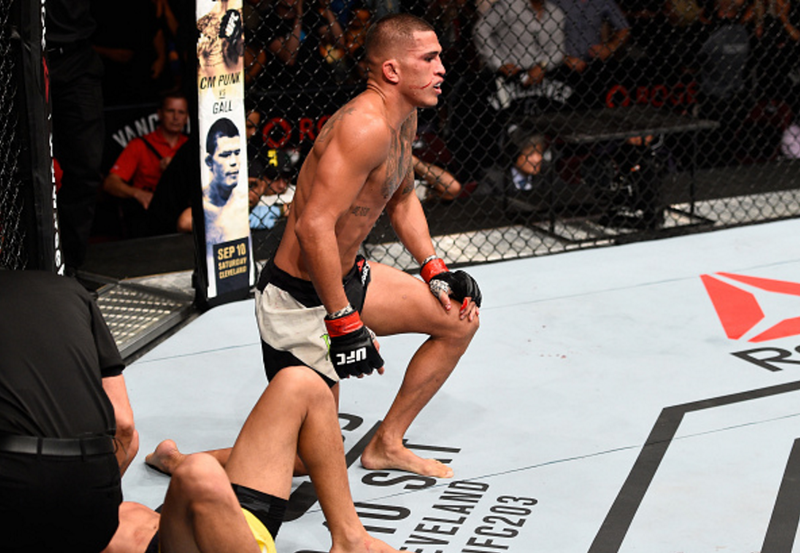 An emotional Maia set his sights on the champion while a respectful Condit was visibly distraught in his quick loss. Whatever the emotions, the opinion was shared - Demian Maia is as good as they come when its down to grappling in the fight game. 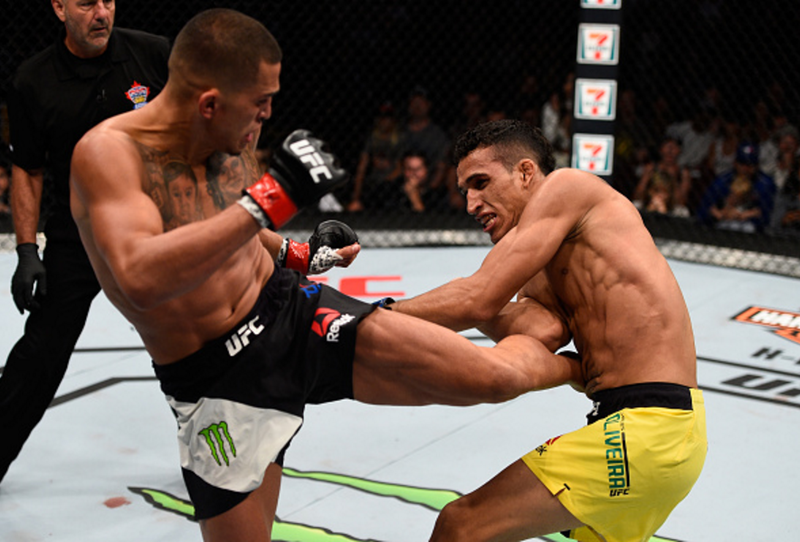 Anthony Pettis made a successful start to his tenure in the featherweight division as the former 155 lb king submitted Charles Oliveira in the co-main event. Following up on the game plans on other successive conquerors of "Showtime", Charles Oliveira initiated the clinch right away and had his opponent frustrated. There were few windows for the American to land some shots, but when he did, they would pay. After surviving a period where his back was taken, a crisp body shot was landed and some follow up strikes which folded Oliveira, and he would spend the rest of the round cautiously pounding him away but not enough to get the finish. Just when it appeared that the second round would unfold similarly, the submission artist changed the script. Some more clinching followed by striking with intent on the forward movement opened up for an opportunity to take the rear-naked choke when he leaped on his back, but the defence of the former lightweight champion was again impeccable as he waited the right time to turn around into full guard. There wasn't much time to do the work on the feet though, as he would be taken down once again. With things apparently tied after 10 minutes of fighting, Oliveira made a big leap in putting things in his favour with a takedown right off the bat. Pettis would soon have his back taken yet again, although he had a plan, turning and reversing into side control, where things were eventually stood up. He caught the neck of his opponent as he rushed in, and secured the suffocating grip for the guillotine choke, stunning Oliveira to get his featherweight run off to a winning start. Paige VanZant took a page out of her "Dancing With The Stars" chapter as the strawweight star dispatched Bec Rawlings with a thunderous switch-kick finish. "12 Gauge" pressed the pace in typical fashion, opening with a head kick and doing some fine clinch work, although the Australian did land at distance and continued to force her opponent to do more of the work. VanZant continuously went for the ambitious leaping kicks, although none would connect until the second round. As she backed up towards the cage, the Team Alpha Male sensation feinted with the right leg then dropped Rawlings with a kick on the left as a magnificent switch-kick set up for the finish. 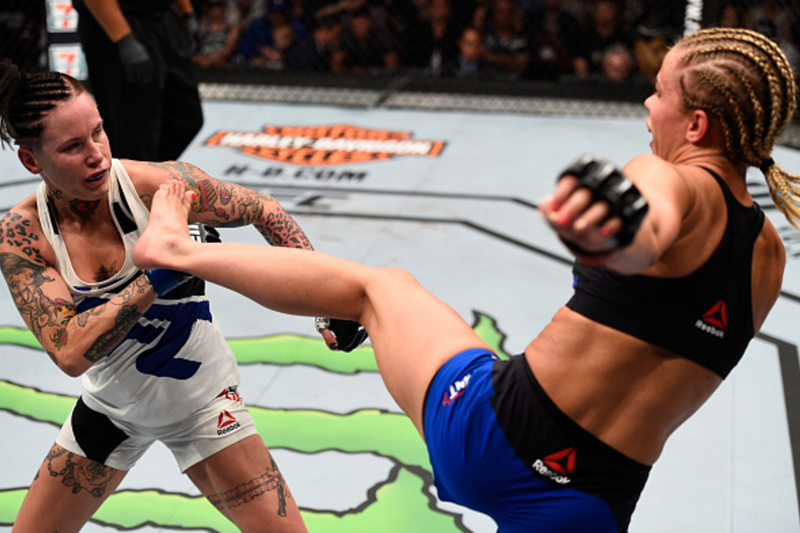 A barrage of strikes on to her floored opponent eventually lead to the fight being called off, confirming a triumphant and spectacular return to the Octagon. 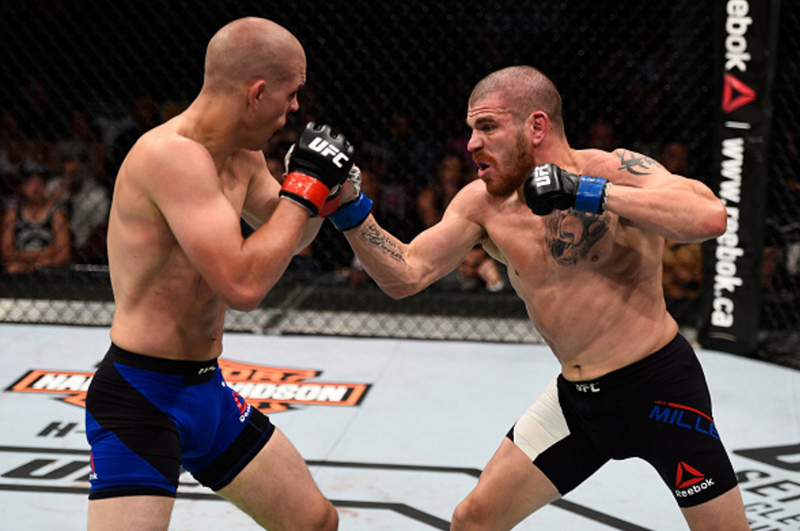 Jim Miller once again got the better of Joe Lauzon as the two lightweight veterans picked up from where they left off in their 2012 fight of the year with a thrilling opener to the main card. Joe Lauzon made the stronger start in the first round, pressing on aggressively and cutting the cage off for his opponent to land plenty of volume. After some level changes, he would get the takedown and land a handful of elbows in the half-guard although his opponent would make up lost ground towards the end of the frame. 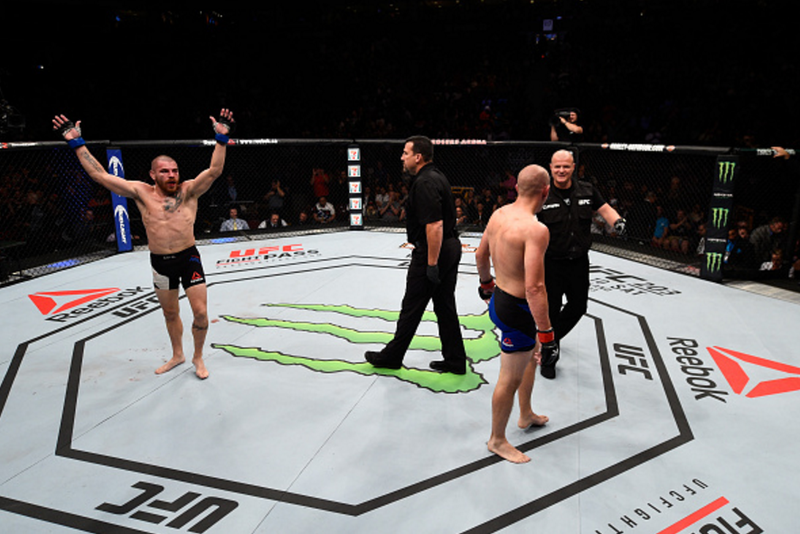 Thereafter, Jim Miller enjoyed more of the action in spurts although things could easily have been down the middle when it came to the final round. Following some aggressive striking which did appear to stifle his opponent, a stern response saw some wearing down on the ground, as Lauzon almost found the armbar with just seconds remaining. The referees determined Miller to be the victor on split decision, after a fight in which both men enjoyed striking success, and some clean work on the ground too. More than 3 years on from their classic back at UFC 155, the two athletes showed they still have it, and it proved to be another show-stealer in Vancouver.